Plot synopsis: The manager of a struggling baseball team employs a 'midget' first as a mascot but then, in desperation, as a player. Based on a short story first published in The Saturday Evening Post, on 5 April 1941; and later in James Thurber's collection My World - and Welcome to It, in 1942.
Review: Sometimes, I just can't get my head around an episode. Everything about this story seems woefully misjudged. Sure, it's important to be careful when judging the values and attitudes of earlier eras, and not to get on a moral high horse about their perceived failings, but this supposedly amusing tale, about how hilarious it would be for a 'midget' to be a baseball player is embarrassingly crude - and not funny, either. Not least of the episode's miscalculations is the fact that the short-statured character is played by a woman, using a (highly irritating) voice that seems designed to mock and ridicule him. It is based on a reasonably well-known short story by renowned writer James Thurber, and perhaps on the page it has qualities I could not find in this radio version. The story also, apparently, inspired the real-life case of the St. Louis Browns employing the three feet seven inches tall Eddie Gaedel in a game in 1951. Regardless, I found this to be one of the CBS Radio Workshop's least appealing episodes. Plot synopsis: An elderly Minnesotan farmer gives up his farm to his children so that he can become a student at Yale university and get the education he has always wanted. Based on a short story first published in The Century Magazine, in June 1917; and later in Sinclair Lewis's short-story collection Selected Short Stories of Sinclair Lewis, in 1935.
Review: Positive messages about the value of learning and that age should not be a barrier to pursuing one's dreams are the strong points of this episode, which offers an uplifting view of education and the life of the mind. As such, there's much to respect here. At the same time, as drama, the story is quite stodgy and not always terribly engaging. The episode starts well, with a gently amusing introduction in which the main character explains to the incredulous Dean of Yale College that he wants to enrol. Yet after a while, the overly po-faced and reverential attitude towards the pursuit of learning becomes wearying, as do the repeated snatches of choral singing - although I work in education, even I found all this a bit much. Even the protagonist starts to grate by the end and I had some sympathy with the younger students who find his single-minded dedication to his studies irritating. All this aside, the story still has enough to recommend it as a listen, even if it is not one of the series' best. 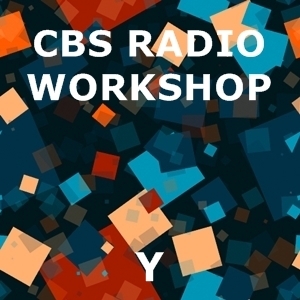 On a final note, wait to the very end to hear the announcer stating that this is the last episode of the present series, but that he hopes the programme will return in the not-too-distant future; sadly, this was not to be, and this was the last ever episode of the CBS Radio Workshop.